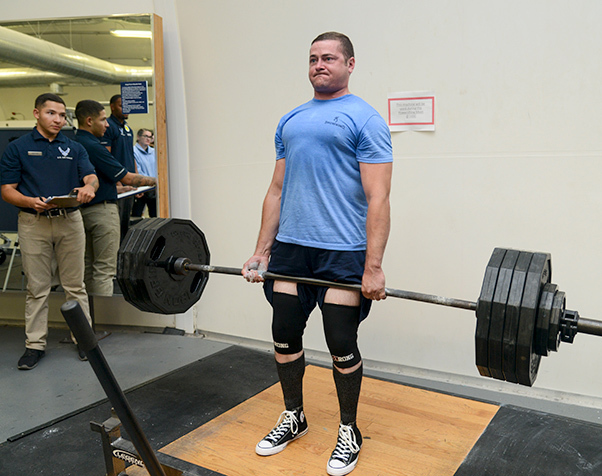 Compeitive powerlifter John Alexander competes in the deadlift portion of a powerlifting competition at the Rosburg Fitness Center on Edwards Air Force Base, Calif., Sept. 13, 2018. 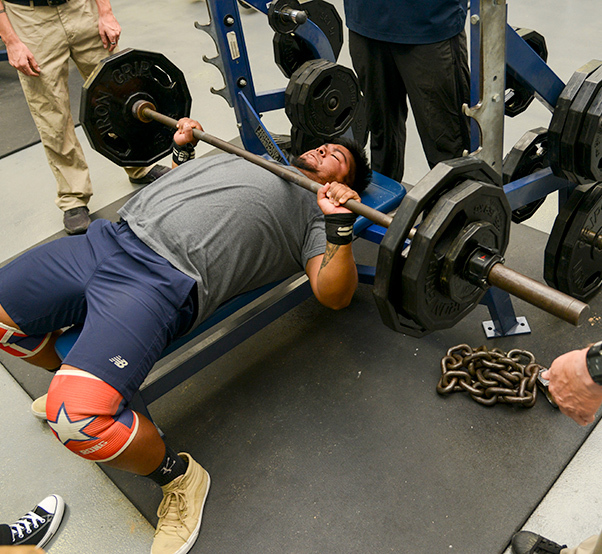 Competitive powerlifters participated in a powerlifting competition at Rosburg Fitness Center on Edwards Air Force Base, Calif., Sept. 13, 2018. The competitors competed in three events: the bench press, squat and dead lift. 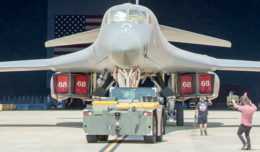 The competitor with the highest combined weight lifted was crowned the winner of the tournament. Anyone interested to compete in the next powerlifting tournament may contact Kenneth Ballard, Fitness Program Manager, at 661-527-8480. 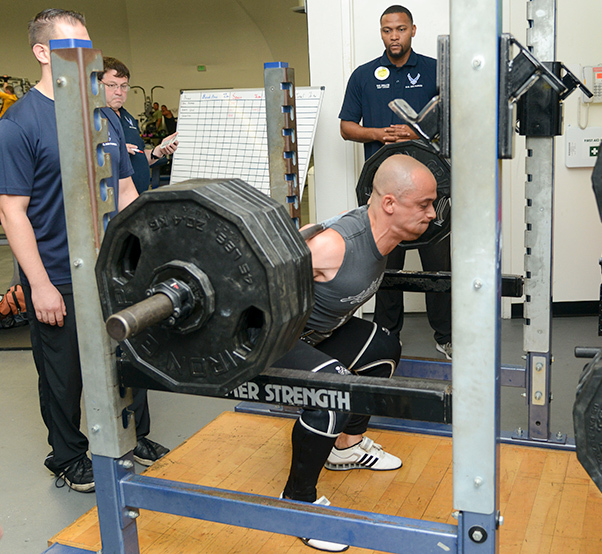 Compeitive powerlifter Chris Valentino competes in the squat portion of a powerlifting competition at the Rosburg Fitness Center on Edwards Air Force Base, Calif., Sept. 13, 2018. Compeitive powerlifter Andres Uriel competes in the squat portion of a powerlifting competition at the Rosburg Fitness Center on Edwards Air Force Base, Calif., Sept. 13, 2018.